Arrival in Barcelona. Group transfer from the airport to the hotel. Free time. Overnight. Breakfast. Free time. 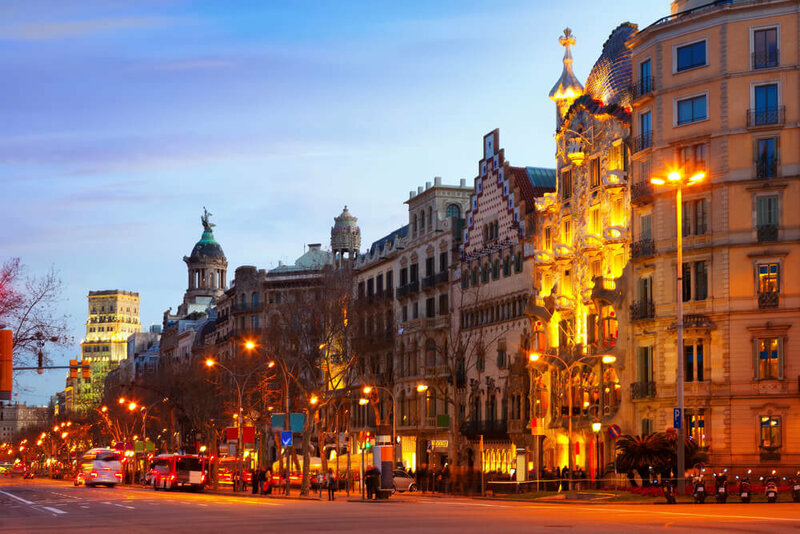 A sightseeing Tour of Barcelona, during which you will see the famous Antonio Gaudi’s masterpieces, as well as the Paseo Gracia, Plaça de Catalunya, Montjuic hill, the Olympic Village, Gothic Quarter etc. Arrival in Costa Brava, hotel accommodation. A walk through Lloret de Mar. Dinner. Overnight. Breakfast. Free time. Lunch. Free time or additional excursion to Lloret de Mar for an extra fee. Dinner. Breakfast. Excursion «Hello Costa Brava!» with the tour to the beautiful Santa Clotilde Gardens and wine degustation. Lunch. Departure to Cote d'Azur of France. Along the way there is an excursion to Salvador Dali Theater Museum in Figueras. Late arrival in Nice, hotel accommodation. Overnight. Breakfast. A sightseeing Tour of Nice: Promenade des Anglais, Cimiez hill, Sea port, the Perfume Museum where you can learn about French perfumery industry and buy some interesting products. Panoramic Tour along the sea coastline viewing the Cape of Antib, Juan de le Pen (without stops). Visit to Cannes with its famous Stars Alley close to Palace of Film Festivals and Promenade de la Croisette. Overnight. Breakfast. Moving to Italy with the tour to San Remo which is famous for its festivals and flowers market. Excursion to Republic of Monaco: Monte Carlo Casino, «The Golden Triangle», Cathedral where Grace Kelly was buried, the Royal Palace. Returning to Nice. Overnight. Breakfast. Departure to Spain. Arriving in Lloret de Mar. Dinner. Overnight. Breakfast. Transfer to the airport. End of tour.